All you have to do is look at certain whole foods to see the connection they have to body parts! A carrot sliced into a coin shape looks like an eye, while a tomato has four chambers, just like a heart. Keep reading for information on how to eat the best foods for certain organs. Images courtesy of Women’s Day. 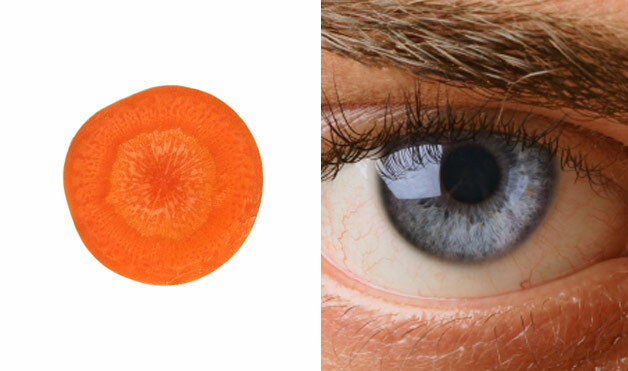 Carrot: Once a carrot is sliced to resemble a penny, it looks like the human eye, complete with the pupil, iris and radiating lines. Carrots enhance blood flow to the eye and assist with eye function. 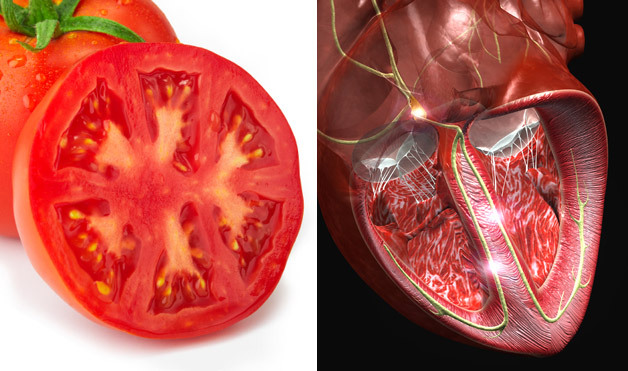 Tomato: Just like the heart, the tomato is red and has four chambers. Tomatoes are high in lycopine, which feeds the heart and blood. 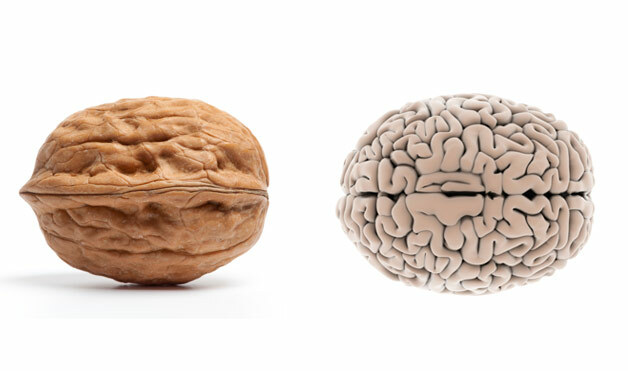 Walnut: Walnuts have the same wrinkles and folds of the brain, in addition to a left and a right hemisphere. Walnuts are high in omega-3 fatty acids, which are brain food. Celery: Celery is long, just like a bone. 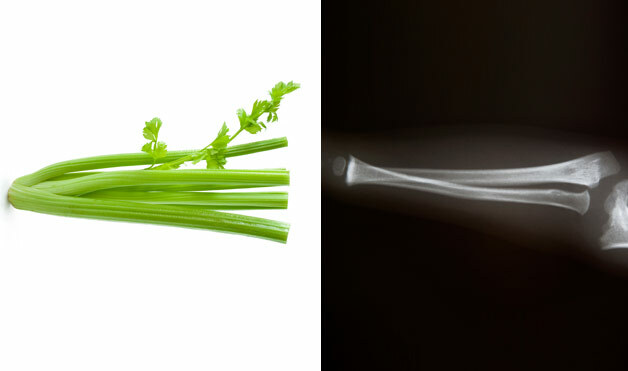 Celery targets bone strength. 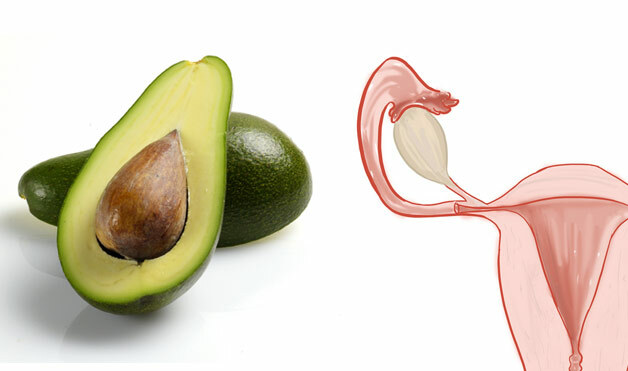 Avocado: Matching the shape of the uterus, avocados balance hormones and help prevent cervical cancer. It even takes nine month to grow an avocado. 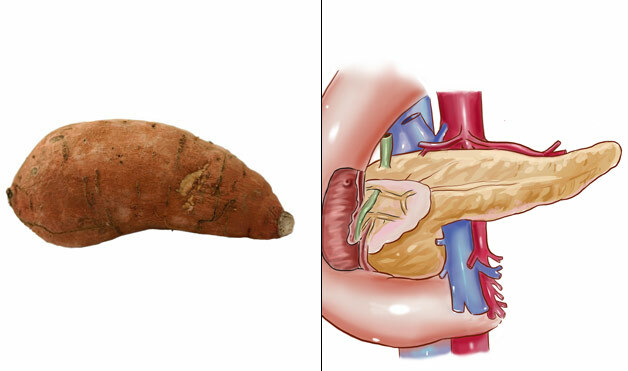 Sweet Potato: A sweet potato looks exactly like the pancreas, which is why sweet potatoes are the perfect food for diabetics. These vegetables balance the glycemic load. Citrus: Citrus fruits, like grapefruits and oranges, resemble mammary glands, and are important foods for breast health. 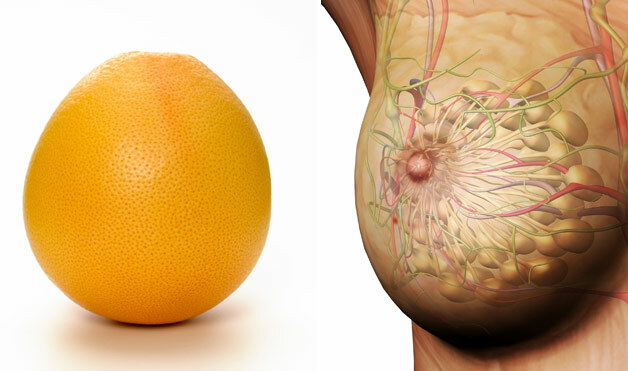 Citrus foods also help move lymph in and out of breast tissue. 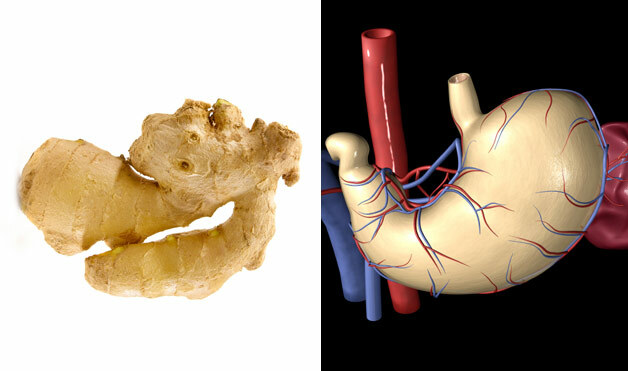 Ginger: The stomach and ginger look almost exactly alike. Ginger ale has long been known as a remedy for stomach pains, because gingerol helps ease nausea. This entry was posted in In the News and tagged fruit, fruit and vegetables that resemble organs, health, organs, vegetables. Bookmark the permalink. Nature has provide us with an abundance of foods to support our health. I love this blog!